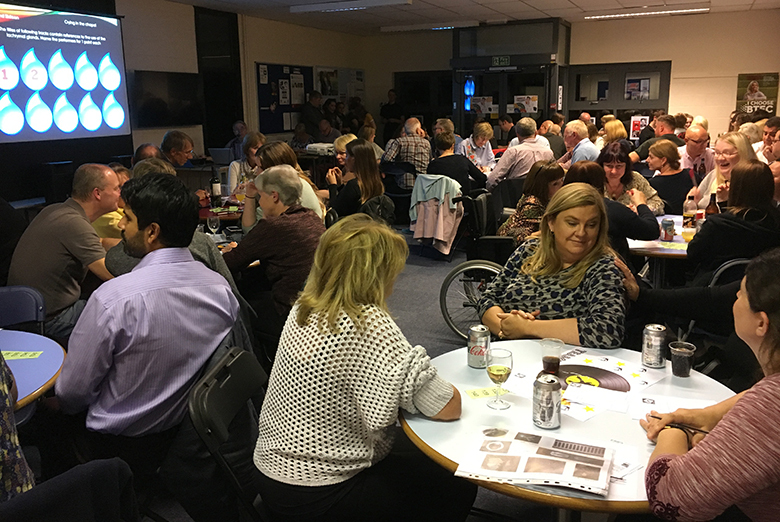 Staff, students and parents from The Sixth Form College, Solihull joined together for a charity quiz last week and raised more than £800 for an impoverished school in The Gambia. A general knowledge quiz with an Elvia Presley twist took place at the College on Friday 29 September and thanks to ticket sales, donations and selling raffle tickets, £845 was raised. 14 teams of 4-6 people took part, answering questions on a range of topics from music to sport, history to geography and films to popular culture. There were 20 rounds to the quiz, each with a link to a famous Elvis Presley song. “We’ve been running a Team Gambia quiz for the last five years and it’s always well supported by staff, students and parents. It’s a lot of fun, but there is an important fundraising element to it too. A group of 19 students are part of the College’s Team Gambia project this year. They are travelling to the Jemus Jungkung Jammeh Memorial Nursery and Lower Basic School in Abuko, near Banjul, in November to volunteer. They have spent the last seven months fundraising for the school, as each had a target to raise £400. This project was originally set up by Peter Evans from Hamstead Hall School in Handsworth Wood. He has worked for many years to fundraise and build the nursery school in The Gambia from the ground up, so that children in this very deprived region can get an education. November’s trip will be the fifth year that The Sixth Form College, Solihull have participated in the project. In that time, more than £35,000 has been raised to help the school.